The NUP Alumni Office offers its services in order to strengthen the link between the Neapolis University and its graduates. Its aim is to promote initiatives while also providing benefits and opportunities to graduates for further professional and academic development. To strengthen the graduate network by the use of an interactive electronic platform that focuses on the needs of NUP graduates. (Register at: https://www.nup.ac.cy/alumni/). To offer information about job vacancies. To connect NUP graduates with the labour market. To create opportunities for networking with professionals, enterprises, academic institutions and other organisations. To adjust the curriculum of the University’s Programs of Study, so that they will provide the knowledge and qualifications required to ensure success in the graduates’ future career. To create a database concerning the NUP graduates’ career and monitor their professional accomplishments. To publish the annual NUP magazine. 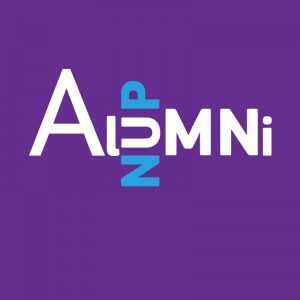 To issue the Alumni member card for all the NUP graduates with which the holders have benefits and discounts on various products and services as well as free access to the NUP library. Το support NUP graduates at their participation in European Youth Training Programs. To provide reduced tuition fees (-20%) for a new undergraduate degree / MSc degree in the NUP. To provide 15% discount to graduates’ spouses, children, parents and siblings for undergraduate degree / MSc degree in the NUP. To ensure the graduates’ priority on the attendants list at lecturers, seminars and conferences organized at the University of Neapolis. *The operation of NUP Alumni Office conforms to the General Data Protection Regulation (GDPR), which can be found on the website of the University.